44 Forest Lane, Chautauqua, NY.| MLS# R1129916 | Chautauqua Lake Real Estate Services. Informed, Professional Real Estate Information Serving Buyers and Sellers Interested in Lake Chautauqua Real Estate and Chautauqua County NY Real Estate. Rick and Julia McMahon Real Estate Advantage Since 1992. 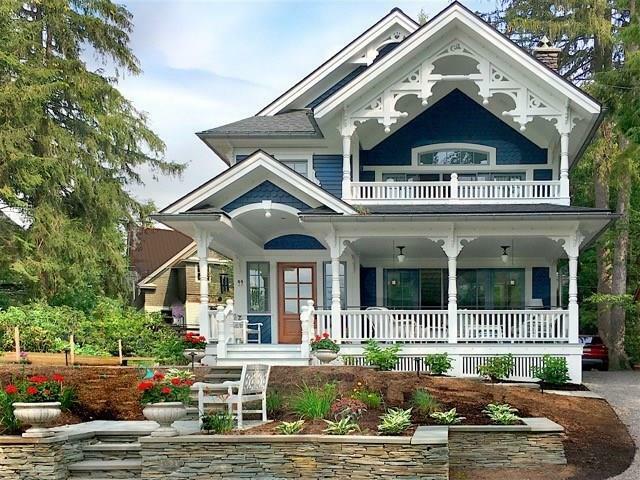 Spectacular new CHQ cottage! Enjoy CHQ's unique 9-week summer program from a chef's kitchen w/quartz countertops. Glowing walnut floors & banisters, 8-ft french doors open out to an elegant front porch in private, wooded setting. Luxury appliances, music & TV features: CAT5 cable. Gas & wood burning fireplaces & lots of natural light. WiFi hookup for a year-round work environment. Stunning master suite with attached dressing & laundry rooms. Spacious master double shower w/designer tile & water features. 2 ensuite guest/kid's rooms; bubble jet tub. Top floor w/balcony has been artist's studio; can convert to master suite, children's dorm, office or gym. Lowest floor a possible rental unit with exterior entry. Driveway incl 2 CHQ parking passes. 2nd buildable lot. At $400sf, it's a steal!! Directions To Property: Enter Main Gate Turn Left And Follow Ramble To Palestine. Turn Left On Palestine And Right On Hurst. Take Immediate Right On Forest. House On Left. Nearest Cross Street: Hurst Ave.